Optimum thermal processing technologies for a variety of better-for-you snack foods. Custom designed conveyor dryers, impingement ovens and hot-air expanders are an efficient and sanitary solution to high volume snack production. Bühler’s thermal processing equipment for snacks is used for direct expanded (DX) snacks, half-product pellets, confectionary products, coated snacks, baked potato chips and value-added snack products. Bühler offers versatile equipment to bake, expand, puff, dry, toast and cool a wide range of snack chips, crisps and pellets. We have responded to the snack food industry’s growing demand for better-for-you snacks with new technologies in baking, air expanding, drying and toasting top selling snacks worldwide. The full range of Bühler dryers for snack food production includes: single- and multiple-pass conveyor dryers, multi-stage conveyor dryers, impingement ovens and hot-air expansion systems. All dryers feature easy access for cleaning and consistently high quality product to meet the snack industry's specific needs. The AeroExpander hot-air expansion system is the newest advancement developed exclusively by Bühler. Designed for continuous production of expanded snack pellets, the AeroExpander reduces costs for customers by eliminating the need for oil in the expansion process. Air expanded snacks also allow processors to meet consumer demand for healthier snack foods. 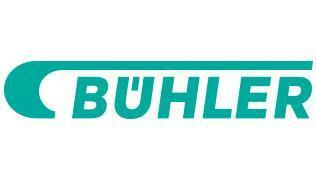 For maximum control over a drying operation, Bühler offers AeroPro Advanced Dryer Controls. This customizable system provides precise control over product moisture and evaporation rates, resulting in a premium quality product and energy savings over the life of the dryer.